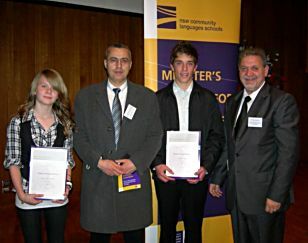 Five students from all “Aristotelis” Greek Language Education locations have been selected to receive either a Highly Commended or Commended Award for Excellence in Student Achievement. The students were presented with their respective awards during a colourful ceremony held at the Sir John Clancy Auditorium at the University of NSW. Congratulations to all students, parents and teachers for this achievement. 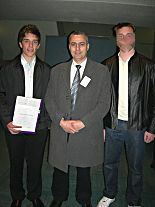 Angelis was also th recipient of the Highly Commended Award two years ago. 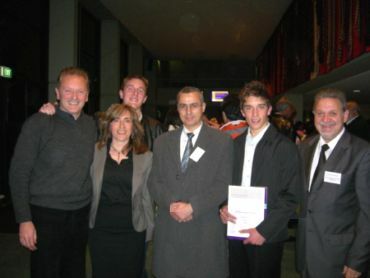 The Kriketos brothers with family members and their teacher. The other receipient were unable to attend.